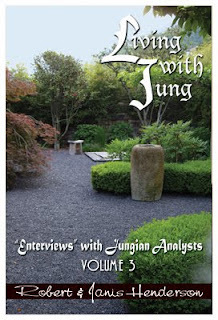 Living with Jung: "Enterviews" with Jungian Analysts, Vol. 3 by Robert and Janis Henderson, pp. 221-236. RH: What are some of the doors Memories, Dreams, and Reflections open inside you? ES: For the introverted young person that I was, more a visitor than fully at home in life, it reopened the door to myself: As a child I mostly avoided other children, playing and finding solace in solitude, withdrawing into my own world of dreams, fantasies, telling myself the stories I wasn’t told by parents who were struggling to find their way in life and cope with a post-WWII reality of loss and disorientation. However, in my mid-teens I “understood” that extraversion is the game, and I joined the “truths” of the mid-sixties, the ideologies and the movements and the rebellions and the bandwagons. MDR, quite simply and softly, helped me return to myself, for which I am grateful. However, you ask what doors inside me MDR open, present tense, inside me, and I want to mention two doors, still as valid to me today as forty years and more ago: one is the simplicity of the language. It reads like a novel. Rather than a convoluted pseudo-scientific language, here the soul simply speaks through its natural precinct of tales and images, memories, dreams and reflections. The simplicity of the garment reveals the depth of the wisdom. Secondly, it inspired the way I relate to my own dreams. I am a bit lazy, and I don’t collect the dreams of every night. I do feel a bit guilty, well aware that the Scribe of Dreams sits down at his (or her) desk as soon as I go to sleep, and starts to collect every possible material – residues from the day, complexes of old, events in the world – weaving it into images and stories. And I also know that I send someone to represent me in those stories – what we usually call the dream-ego – who returns to knock on my door to share with me the adventures, the pleasures and the pains that he has experienced, and to most I don’t even open the door. I justify this by believing that most of our dreams serve as a sewage system to get rid of overload and garbage, letting it flow into the ocean of the unconscious. 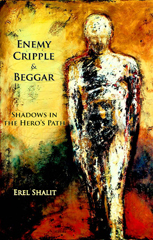 Yet, I am of course aware that a one-sided use of the system will clog it, and that some dreams work in the opposite direction – picking up hints and reflections and ideas and innovations and comments that need to be brought from the great ocean, shipping it into the ‘ego-state’ of consciousness. So I do remember a couple of dreams every month, and during some periods more. I then like to have the dream hang around with me, or me hanging around in and out of the dream. 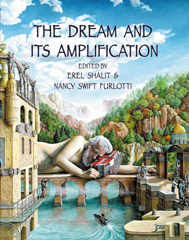 In a very non-interpretative way I do a kind of active imagination over several weeks, talking to a dream figure, listening to what he or she seems to say, or walking around in the setting of the dream, for instance a dream-house or along a dream-path. Whatever I may understand of it seems to emerge by itself, and to develop by continued interaction. This was inspired by reading MDR, and has stayed with me since. 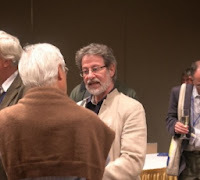 To paraphrase Camus, who said, “Those who write clearly have readers, those who write obscurely have commentators” – I believe, as did Jung, that the soul writes clearly, but we tend to become quite obscure when we comment and try to interpret it. 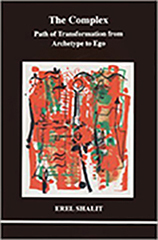 In this volume of Living with Jung: "Enterviews" with Jungian Analysts, Robert and Janis Henderson present interviews with eighteen Jungian analysts, many of whom, in addition to their private practice, are involved in the development of Jungian training programs around the world. The interviews span not only the broad sweep of the history of Jungian psychology, from Zürich to points beyond, but also the shifts in emphasis that have taken place in the practice of Jungian analysis over the years. 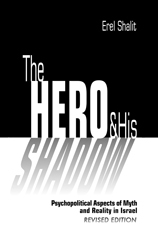 As these Jungian analysts reflect on their personal stories for the outside world, they "de-mythologize" not just themselves and their profession, but Jung himself.The interviews take the form of free-ranging conversations that cover a wide variety of topics, from spirituality, aging, and death, to sexuality, marriage, family, women's issues, politics, religion, healing, and the spread of Jungian training and practice worldwide.For Jungians and interested non-Jungians alike, this is a rich repository of information about the Jungian world, never before brought together in one place.